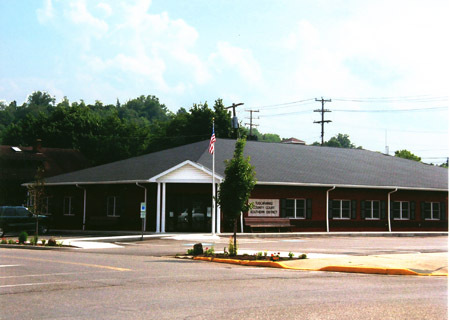 Tuscarawas County Court/Southern District is located at 336 E. Third Street, Uhrichsville, Ohio and serves Clay, Mill, Oxford, Perry, Rush, Salem, Union , Warwick and Washington townships including Uhrichsville, Dennison, Gnadenhutten, Port Washington, Newcomerstown, Tuscarawas and portions of Midvale and Roswell. The Criminal/Traffic Division handles all misdemeanor criminal cases, preliminary hearings on felony cases and traffic misdemeanors occurring in the territorial jurisdiction of the Court. The Court hears civil matters when the amount in dispute is $15,000.00 or less, as well as evictions and landlord/tenant matters. There is also a small claims division. This website was created to help serve the public. It will provide access to information and help the public understand court procedures. It will NOT provide legal advice. It will NOT take the place of seeking the advice of or retaining an attorney. Please note that the online search is a docket search and will only go back to 1994.